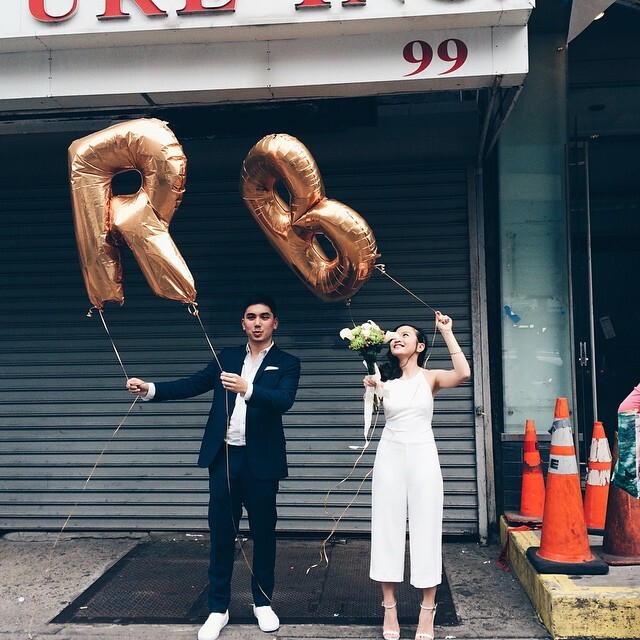 We are featuring Ryan and Bea because (a) ad agency people easily make for great, rebellious materials (b) bridal jumpsuit from Zara FTW! 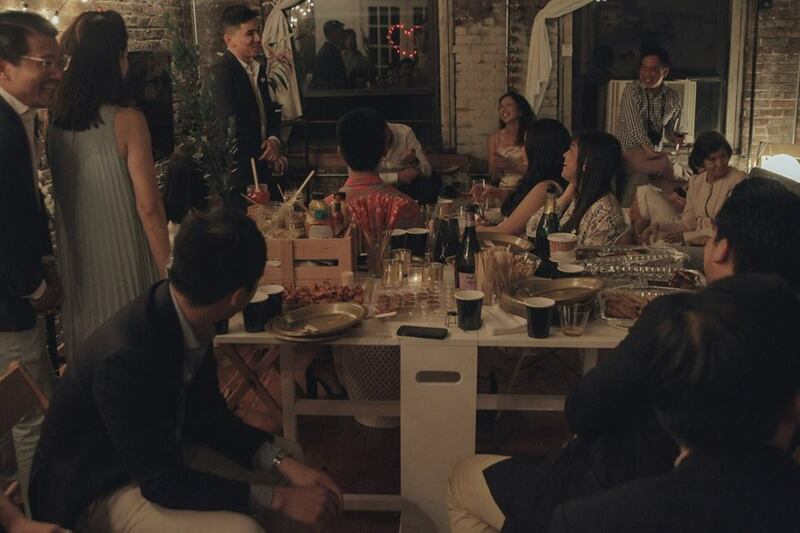 (c) Airbnb loft for the reception (d) solely on the basis of their initials and (e) all of the above. So this is the story of R and B. And because the rebellious groom is a copywriter and a stand up comedian, let's hear it from him. Yes, I made him write his own feature. No shame. 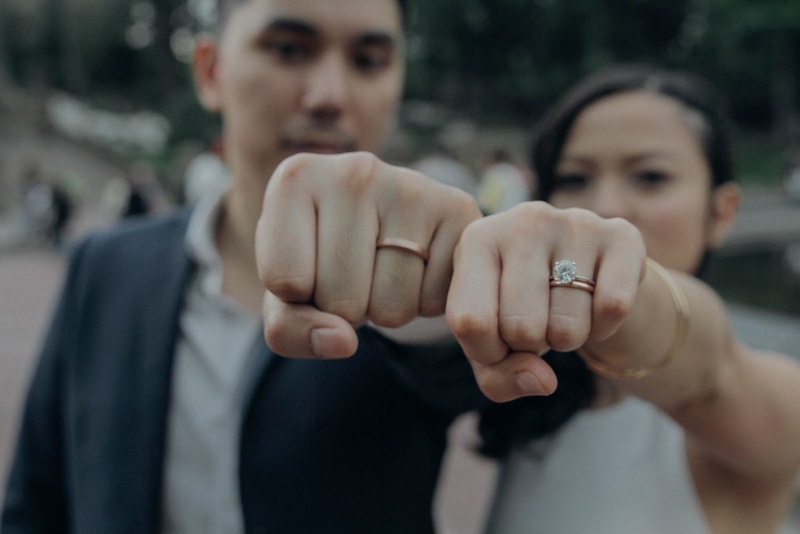 What's the story of your rebellious wedding? 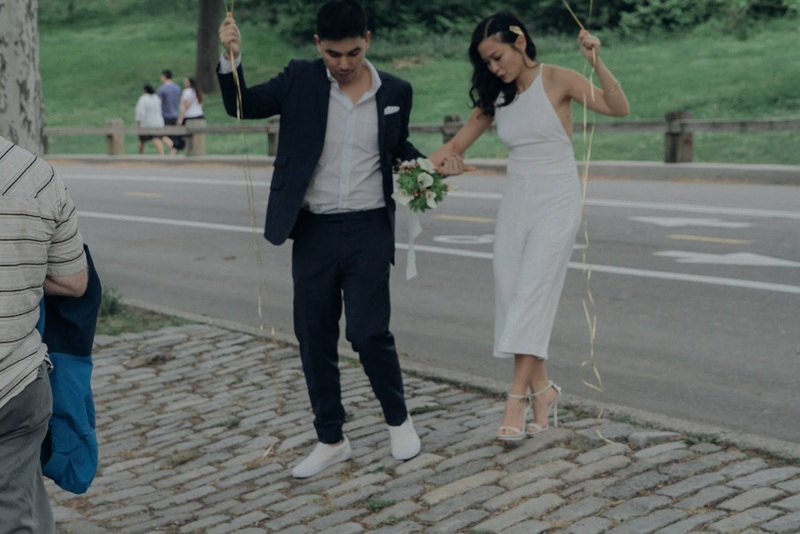 We were actually supposed to get married in City Hall, but since we had a lot of family and friends coming, we decided to do it in Central Park instead. It worked out though, since it’s a lot prettier and makes for better pictures. So we applied for a permit and booked a minister over the Internet. 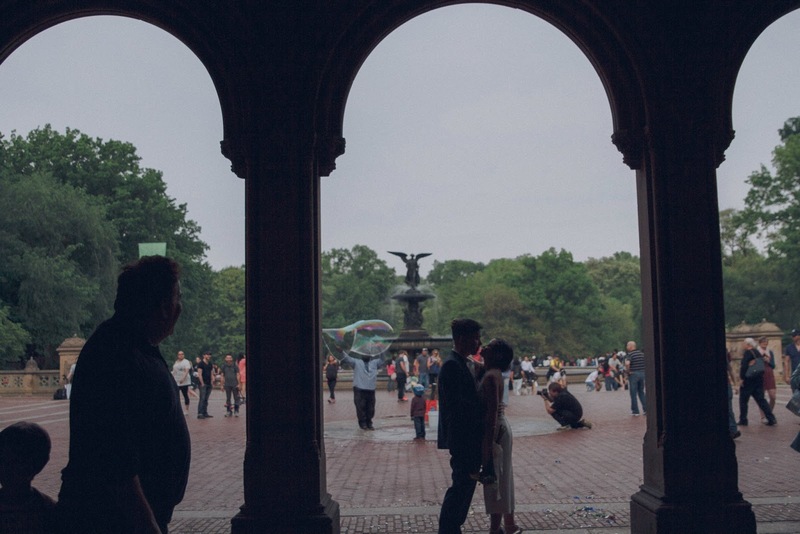 We held the ceremony by the steps in Bethesda Terrace, one of our favorite spots in Central Park. We didn’t exactly have chairs, so the steps made it easier for people to see what was going on. 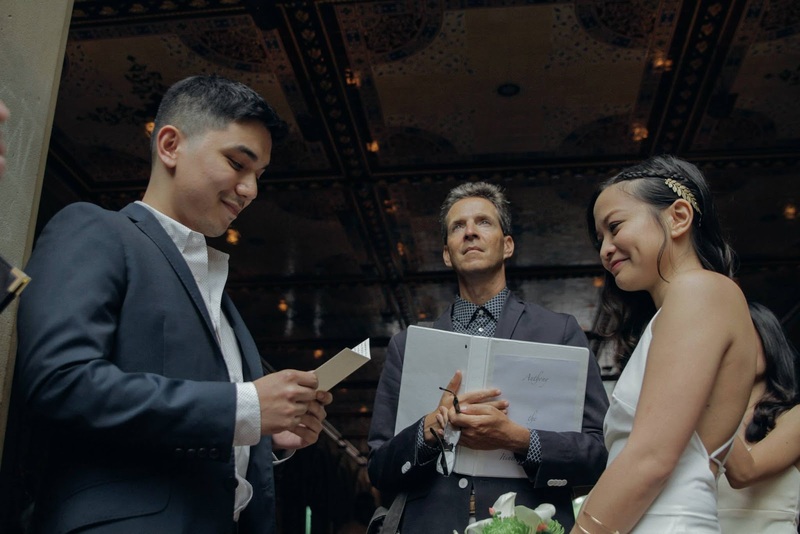 The minister said a few words and passages and then had us exchange our vows. 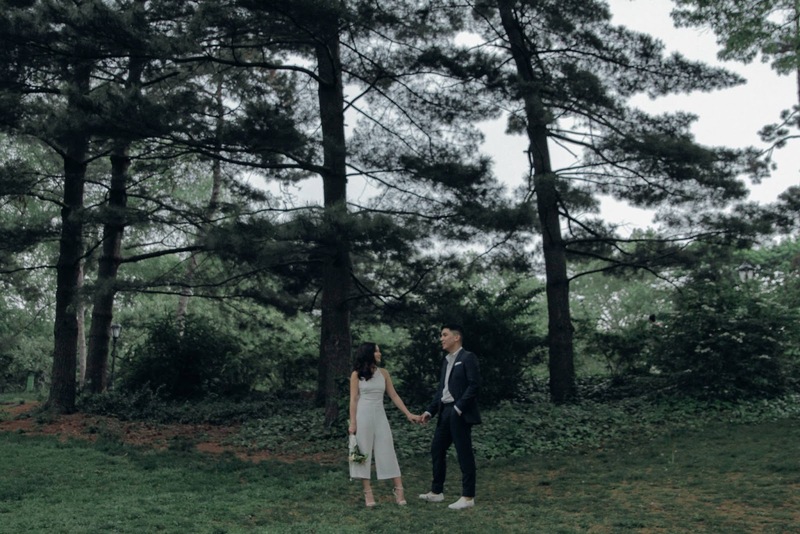 We did our thing and then after a few minutes, we were pronounced Husband and Wife by the State of New York. We took some pictures for about an hour in the park and then met everyone at the reception. We just rented a loft on Airbnb and then dressed it up a bit. Very intimate and very fun. We just made sure we had good music, easy finger food and a lot of booze. Everyone had a great time and now we all have a cool little story to tell. What is your definition of a rebellious wedding? 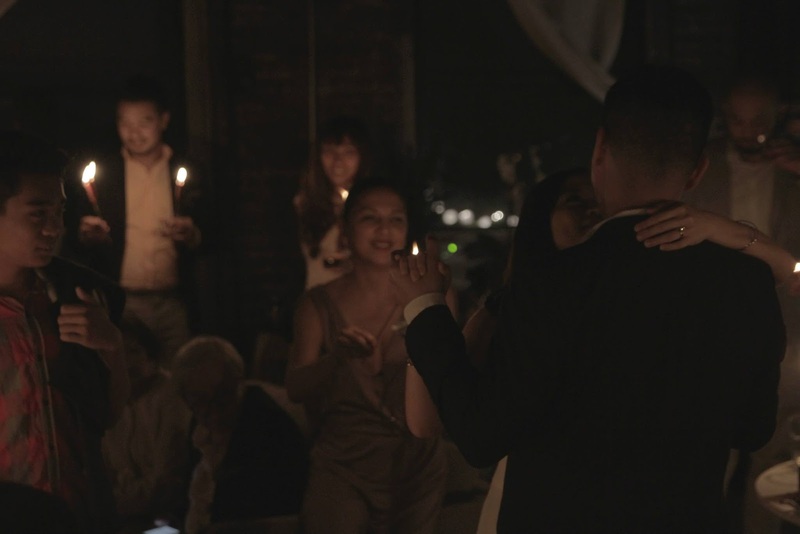 Just do the wedding that you and your partner want to do. This is your special day and it should have the both of you written all over it. 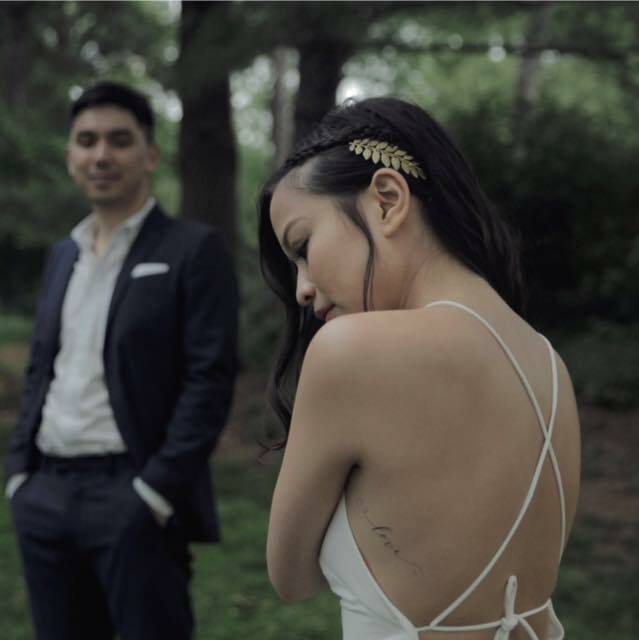 Our photographer, Amelia, was so great. She’s so awesome and talented. You can check out her other work at www.ashassard.com .